Is your car crying out for help? After what seemed like an endless winter, spring has finally arrived and that means it's time to declutter, organize and spring clean your vehicle. Let's face it, the cold weather and short days made all of us a little lazy and cleaning the car is the last thing we've wanted to do all winter. All the salt, dirt, and mud that we've tracked into our cars can put a serious damper on the daily commute, as can the trash that's been building up in the center console. It's time to tackle it. These are the top 4 essential tools to help bring your car back to its pristine condition. The Fortem Car Vacuum Cleaner ($27) is compact at 15 inches tall and lightweight at under 2 pounds, but it tackles dust, dirt and residual salt from the winter season like a beast. The Fortem comes with a long cord that plugs into your cigarette lighter and will reach all the way to the backseats and cargo area. Its powerful suction gets the smallest pieces of dirt that manage to find their way into your car. The 3 included nozzle attachments offer the capability to reach all your vehicular crevices. The vacuum comes in a zipper carrying case so you can easily store it when not in use. You'll be shocked to see how much more clean and spacious your car looks when you declutter the cargo area and organize the loose items floating around the cabin. There are many styles of car organizers out there, but we prefer ones that don't take up any extra space in the vehicle. Our organization tool of choice is the Siivton Backseat Organizer ($22). The organizer hangs over the front seats when you secure it with the attached straps and leaves your cargo area open for larger items. It has four compartments that can fit everything from cleaning supplies (we'll get to those next), to extra pairs of shoes and sports equipment. Made out of durable materials also used in military backpacks, it will hold up over many years of use. 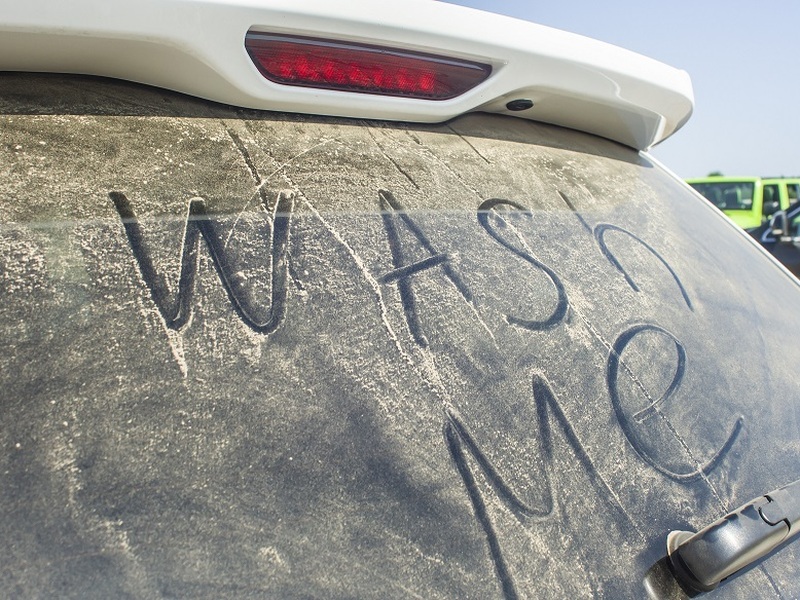 We'll be the first to admit cleaning our car isn't usually our idea of fun (we'd rather be driving it). So what's the answer to actually getting it done? Just add some power tools. The Chemical Guys Carpet and Upholstery Kit ($30) will clean your interior with a Citrus Fabric Clean Carpet & Upholstery Shampoo. It is designed to return your upholstery to its original color and to eliminate the odors that tend to linger after a trip to the gym or more realistically - the drive-thru. Also included is a heavy-duty spray bottle for diluting the cleaner and a scrub brush which attaches to any standard drill to tackle the stains from that ketchup you spilled on the seat weeks ago. Now that you've finally conquered the inside of your vehicle, it's time to give its exterior some love. The Meguiar's Classic Wash & Wax Kit ($28) comes with everything you need to remove the layers of dirt that have built up on your car over the last 4 months and make it shine again. Included in the 8-piece kit are a car wash shampoo and conditioner, quik detailer, cleaner wax, a tire and wheel cleaner, an interior detailer, a microfiber towel, a soft foam applicator pad, and a car wash sponge. Just add a little elbow grease.